Ahoy Me Harties!! 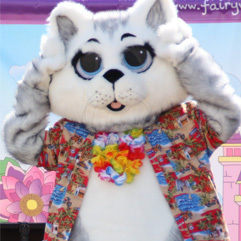 Get Ready to Sail the Seven Seas with Mermaid Wishes, Pirate Pippy Long Socks and Wave the Surfing Safari Cat, in Interactive, High Energy Ocean Adventure, Kids Stage Show! Sail The Seven Seas in the Ultimate Pirate, Mermaid and Surfing Safari Adventure! Fairy Wishes Children’s Parties and Corporate Events are delighted to Present The Ocean Adventure Kids Show which is an Interactive, Ocean-Tastic, Musical extravaganza that will have you Moving and Grooving all across the Pirate Ship. 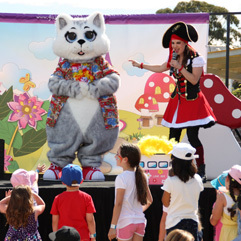 The Ocean Adventure Kids Show is Developed by University trained Early Childhood Teachers with Qualifications in the Performing Arts including Dance, Music and Drama. 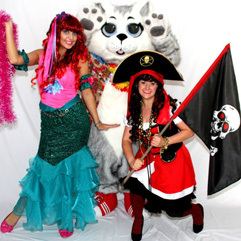 With the help of Scratch the Surfing Cat, Pirate Pippy Long Socks and the Beautiful Mermaid Wish Princess Audiences Will revisit a wide selection of Fun and up-tempo versions of all the Classics such as Surfin USA, Hot, Hot, Hot, Agadoo, Under the Sea, Hokey, Pirate Pokey, Sailors Horn Pipe, Hot Potato and many more. There May Even be a Few Stops at Old MacDonalds Farm, Before Sailing Back through the Ocean With the Grande Finale—A Mermaid Wiggly Woo!